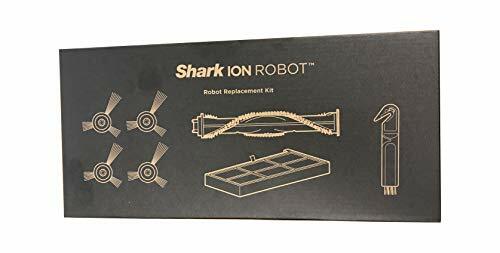 This Shark ION Robot replacement kit includes four side brushes, one main brushroll, one filter, and one cleaning tool. This is a genuine OEM replacement. This Shark ION Robot replacement kit includes four side brushes, one main brushroll, one filter, and one cleaning tool. Replace every 3 months -- depending on use. If you have any questions about this product by Shark Vacuum, contact us by completing and submitting the form below. If you are looking for a specif part number, please include it with your message.